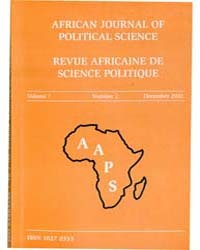 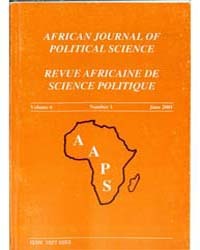 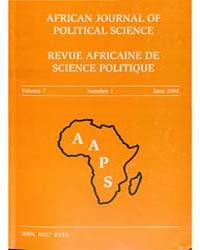 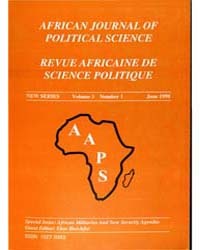 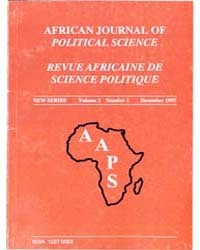 Description: The AJPS is published by the African Association of Political Science (AAPS), with the aim of providing a platform for African perspectives on issues of politics, economy and society in Africa. 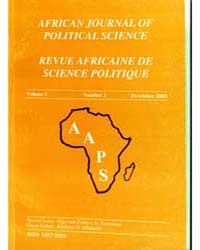 It is published 2 times a year - in June and December, and targeted at the social science community, policy-makers, and university students. 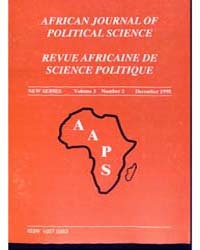 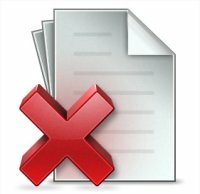 Contributions are in either English or French. 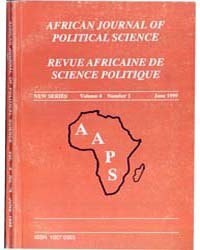 With effect from the year 2000, it will be published in Arabic by the Institute of African Research and Studies, Cairo University, Egypt.